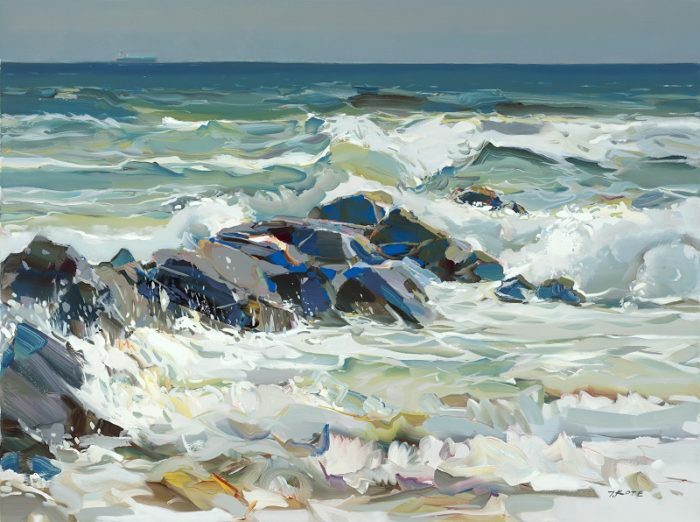 STONE HARBOR, NJ – May 1, 2018 – Ocean Galleries kicks off Memorial Day weekend with guest artist, Josef Kote, who returns to Stone Harbor, New Jersey (9618 Third Avenue/609.368.7777) for the second consecutive year, bringing with him an all new collection of his dramatic paintings, including many site-specific pieces created with the Jersey Shore collectors in mind. Guests will have the opportunity to meet Josef Kote at gallery receptions taking place from 7:00 PM until 10:00 PM on Saturday, May 26 and Sunday, May 27, 2018. His exhibition, “Josef Kote – Harmony in White,” opens on Friday, May 25 and runs through Monday, May 28, with all artwork available for acquisition. Exhibit hours are 10:00 AM to 10:00 PM Friday through Sunday and 10:00 AM to 5:00 PM on Monday. Kote began painting when he was quite young and committed to becoming an artist at just 13-years-old. Classically trained in the traditional approach of the great Masters, Kote traveled from his native Albania to Greece and then Toronto, before landing in New York in 2009. 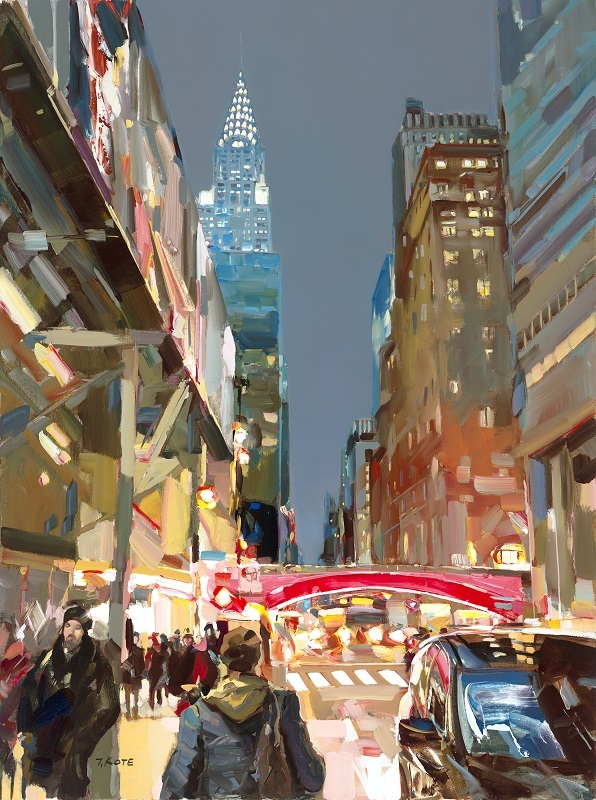 Today, Josef Kote is recognized for his work internationally. He is best known for his distinctive style and technique which blend classic academic and abstract elements, fused together with his signature drip effect, to create breathtaking artwork. Kote’s trademark style includes bold brushwork and sweeping strokes of vibrant color alongside monochromatic areas devoid of detail; the result of these unique techniques are paintings that enthrall the viewer with an incredible energy. In this year’s exhibition, gallery guests can expect to see many new coastal scenes based on last year’s visit to the New Jersey Shore, along with numerous pieces inspired by the people he met from all over the greater Philadelphia and New York area. 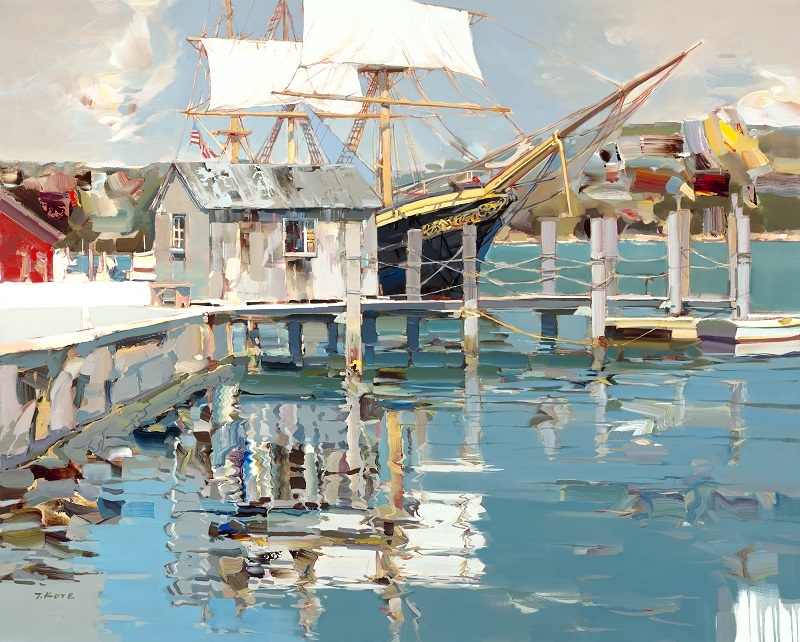 Guests will have the opportunity to meet Josef Kote over Memorial Day weekend at the Stone Harbor, NJ gallery receptions from 7:00 PM until 10:00 PM on Saturday, May 26 and Sunday, May 27. The “Josef Kote – Harmony in White” exhibit includes original paintings, as well as a selection of limited editions and sketches. All artwork is available for acquisition and will be personally signed by the artist during the receptions. The exhibit and receptions take place at Ocean Galleries (9618 Third Avenue, Stone Harbor, NJ/609.368.7777) from Friday, May 25 through Monday, May 28, 2018. Exhibit hours are 10:00 AM to 10:00 PM Friday through Sunday and 10:00 AM to 5:00 PM on Monday. For more than 30 years, Ocean Galleries has provided quality art by contemporary artists to their clients while practicing the highest standards of credibility and integrity in a comfortable and unpretentious atmosphere. With locations in Stone Harbor and Avalon, New Jersey, the distinguished art galleries feature an ever-changing display of artwork that includes local artists’ watercolors, nationally recognized artists’ originals, popular beach prints, and limited editions. Ocean Galleries also carries fine furniture and hand-made crafts from America and around the world. Both locations have on-premises custom framing with design specialists and professional framers who can offer a wide selection of mouldings and an endless combination of traditional and custom-designed matting to complement and preserve any art. For more information, please call 609.368.7777 or register below.